No designer skills? No problem! 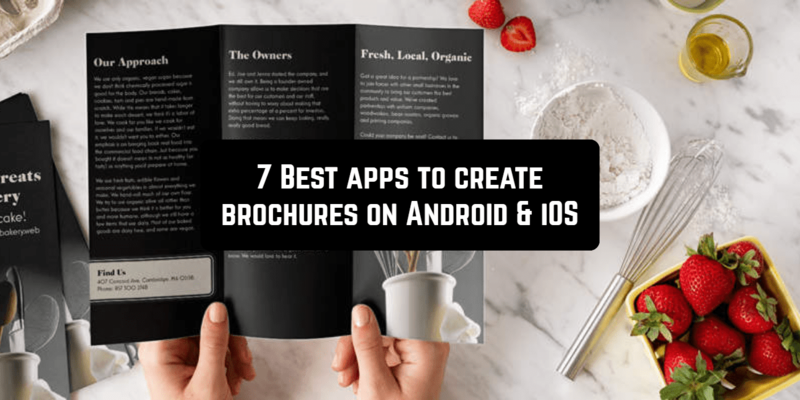 Here you will find the best brochure design apps, and you don’t have to hire a designer or understand complex design programs. A simple and clear interface of the program will not cause difficulties even if you don’t have such experience, and ready-made brochure templates will simplify the task even more. At the same time, you don’t need to look for a designer, explain to him exactly what you would like and pay for his work – Brochure Maker, Graphic Design will allow you to create a brochure, significantly saving time, effort and money. In the app’s collection, there is a great choice of professional brochure templates, cool stickers, multiple fonts, and text effects. 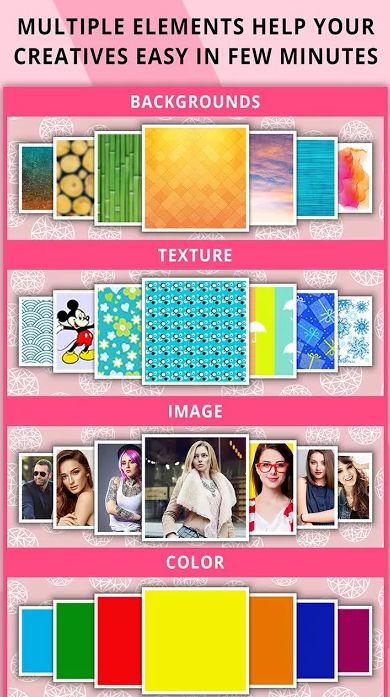 Here, you can change a background using your phone’s gallery or Brochure Maker collection. It’s possible to undo/redo your changes, autosave the draft. 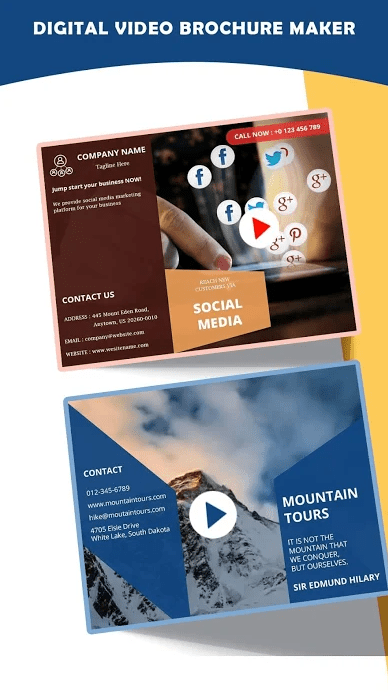 Canva is a relatively new and partially free design service that, with some effort on your part, is fully capable of solving some of the tasks of creating brochures. Canva is a graphic design tool, founded in 2012. It uses the drag and drop format and provides access to over a million photos, graphics, and fonts. It is used by both ordinary people and professional designers. Tools can be used for both design and preparation for printing. 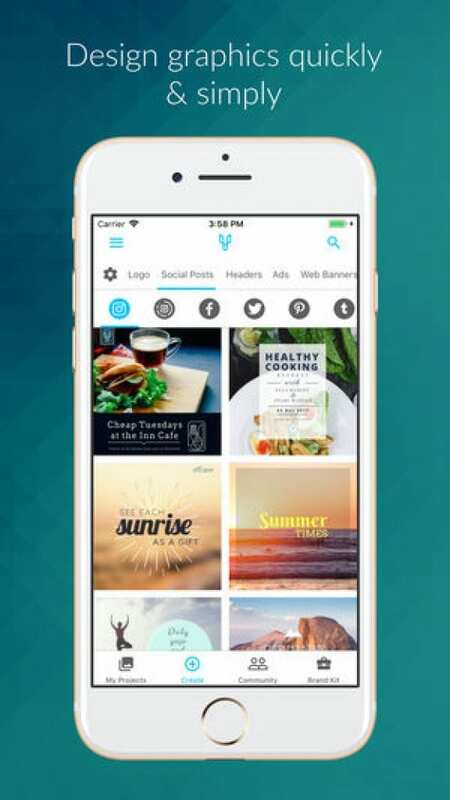 Canva is both a full web version and a smartphone app of the same name. If you start an account, in both versions you will have access to both tools and design libraries and your own archive. All designs you create can be saved as templates and used or corrected later. As a registered user of the free version, you will have access to most of the application’s tools. The only thing is that all photos, logos, designs of business cards, flyers, invitations, and other things are divided into free (marked with the corresponding symbol in the lower right corner) and paid. In the corner of the icon, you will see coins – 1, 2, 3 and further. When you click on such designs you’ll be offered to buy coins for payment. If you don’t pay, the design after saving will be covered with watermarks of the application, and you will not be able to fully use it. The collection has quite a lot of templates for the design and construction of any types of graphics, illustrations, documents. 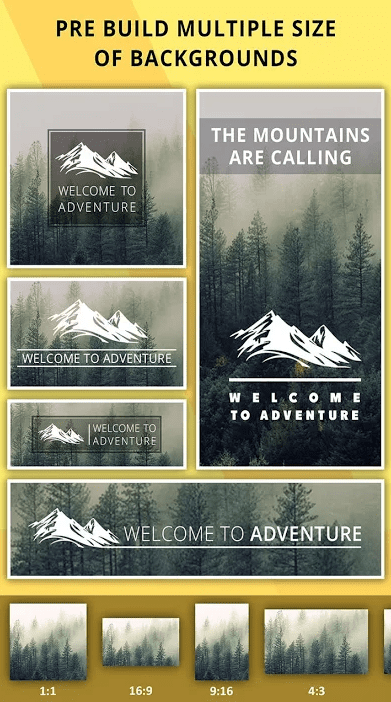 You choose a suitable template, adapt it for yourself directly in the browser in the free online editor Canva and download to a computer, or in an application on a smartphone and download to a smartphone or share the result in social networks. In any layout, you can replace or completely remove the fonts, the content of the inscriptions, pictures, backgrounds, elements of graphics. You can control the transparency of elements and layers, adjust the size of fonts and individual elements, drag/rotate/delete design elements. How well do you need to understand the design in order to get high-quality posters, flyers or brochures? To do this, you don’t need to be a designer. It’s enough to download the necessary application and use ready-made tools and components. Probably the best such application is the Adobe Spark Post. According to the developers, this program is designed to help small businesses and non-profit organizations to create and edit images, websites and media files. 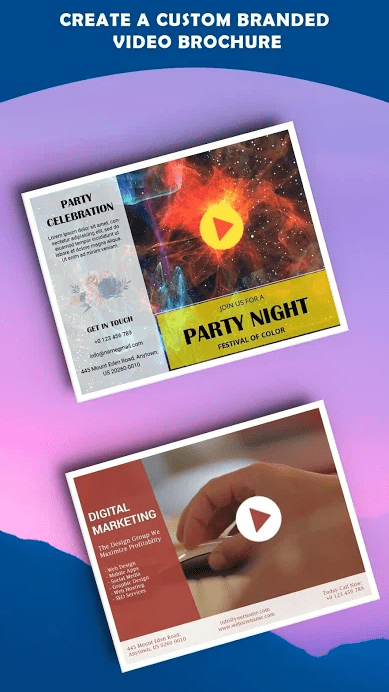 The Adobe Spark Post utility allows you to create various kinds of images and overlays for text so that later you can use the results as flyers for stores or social media. Post allows you to combine different fonts, use your own source images or under a Creative Commons license. You can add your brand ingredients — logos, colors, and custom fonts — to make your designs uniquely yours. The Post program also contains data on preferred sizes of graphic files for different social media, be it Twitter, Facebook, Pinterest or Instagram. After the editing of the material is completed, Adobe will allow you to place and save it, so that you can share the link on social networks. Such publications can even be downloaded. 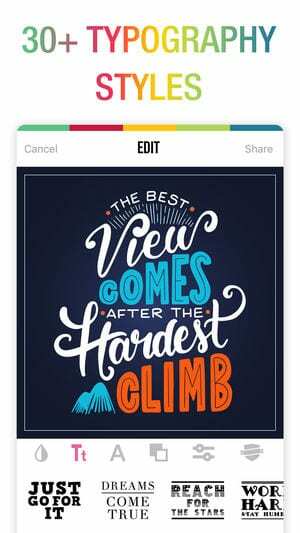 Yes, you can create beautiful graphic designs quickly and for free! Already 3 million people create publications in social networks, ad units, presentations, postcards, flyers, brochures and more with the help of Desygner. Quickly create and update designs. You don’t need to hire a professional designer or become one yourself to create beautiful work. Desygner allows you to quickly create and, if necessary, change any design on your computer, tablet or phone. There are a lot of simple but powerful designer tools: dragging items, editing images, fonts, colors and texts, layers, effects, and multipage files. Beautiful patterns for all your needs. Yes, you can have graphic designs like big brands. Professionally designed templates will help you to present your business in the best possible way. At your service, there’s a constantly growing library of designs from a wide variety of areas, industries, and styles. 100% free resources. Don’t waste precious time searching for free images. There are millions of visual elements that you can freely use, copy, modify, distribute for any purpose. Instant publication and printout. No need to open a lot of different applications or tabs to bring the idea to life. In Desygner, everything you need for fast development is collected in one place. Save your work without restrictions. In Desygner you can create any number of works and store them free. They will always be accessible from a computer and mobile device. 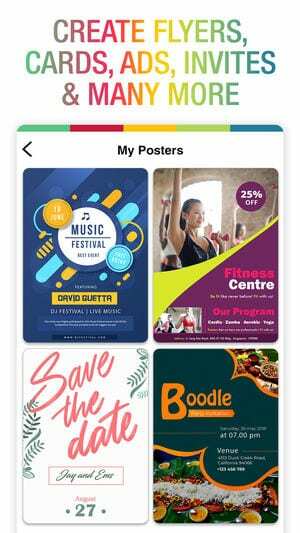 Poster Maker can be considered as the simplest designer app in our list. It includes powerful tools that will help you to create a poster, invitation card, to make a brochure or flyer. There are more than 100 backgrounds, different themes, gradients, stunning typography fonts, over 200 design, and decorative elements. You can use cropping and advanced editing tools (brightness, contrast, vignette and many more). It’s possible to load your backgrounds from the phone’s gallery. You can easily share your designs via social networks. This simple but at the same time powerful application will help you to create posters, flyers, ads. Amazing backgrounds, texture, effects, fonts, sticker are available. There is a huge collection of backgrounds. Or you can choose a color as background. Application functionality allows you to create banners, business cards, postcards and other visual content with ease. You can save your work on SD Card or share it on social media. This is a unique brochure creator app which allows making video brochures for your business fast and easy. There are beautiful and professional video brochure templates, cool sticker collection and music library. You can undo/redo changes, autosave your template, apply multiple layers, export brochure in video mp4 or in GIF. According to users’ reviews, it’s the best app for small businesses who really want to market their products on a budget. If you think that design tasks have to be solved only by specially trained workers, then you are greatly mistaken. Of course, it would be very useful to have special tools that help you to solve such tasks without long training and professional skills.